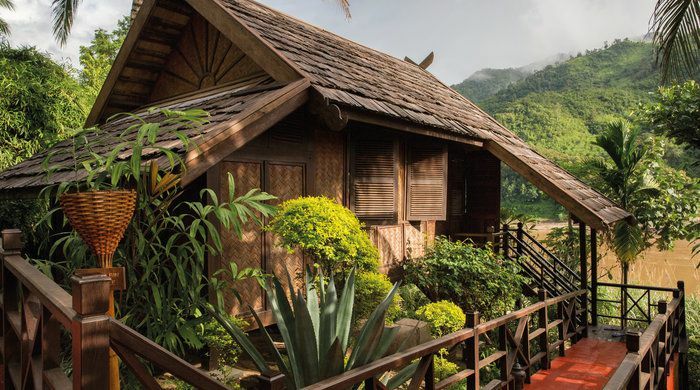 The Luang Say Lodge is located on the left bank of the Mekong River, backed by jungle-clad mountains. It comprises large pavilions of solid teak and rosewood, all with beautiful vistas overlooking the Mekong River and the mountains beyond. 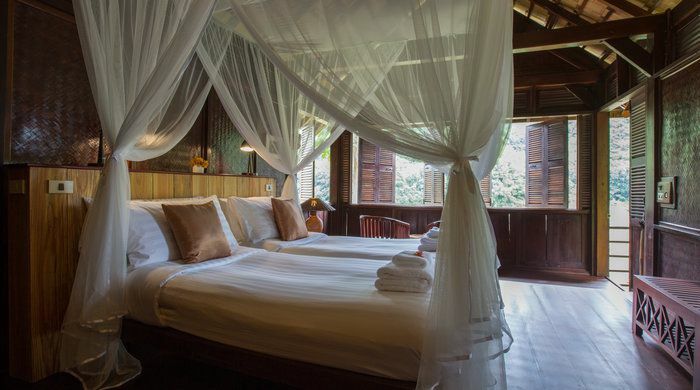 The lodge, built in 1998, is situated in four hectares of land, and is constructed along traditional Laotian lines. It sits peacefully in its location, blending into the natural environment through careful landscaping, raised platforms and indigenous styling. You can only stay at the lodge as part of a Luang Say cruise package from either Huay Xai to Pakbeng or Pakbeng to Luang Prabang. Equally, it is the perfect base for guests wanting to continue on into Thailand by boat from Huay Xai. 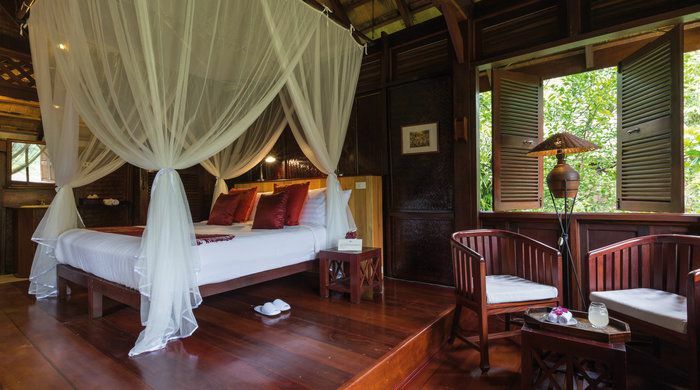 There are 20 guest rooms at the lodge, each with good-sized windows overlooking the Mekong River and mountains. The rooms feature dark toned woods and soft white fabrics along with electric fans, mosquito nets and large private bathrooms. 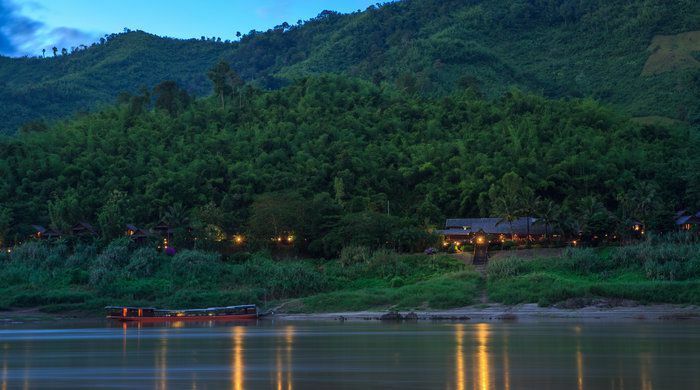 The Luang Say Lodge has a charming restaurant, which overlooks the Mekong River, and is easily reached via wooden walkways from the guest bungalows. Choose to eat communally or at your own table. Enjoy buffet-style dinners of traditional Lao food, as well as continental breakfasts. Most vegetables used are grown organically in the gardens or local villages. 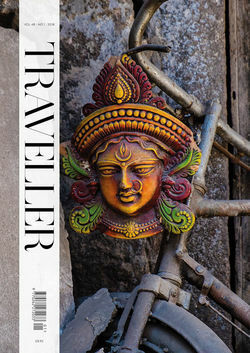 There’s also a fully equipped bar serving soft drinks, Laotian beer and spirits.